11. Hold onto small children around the rim. There are not railings everywhere…. I mean, come on… it’s 277 miles long on EACH side. Safety first, people. The guide told us that 12 people die each year from falling in. WHAT? Yep. 10. Take your camera. This may seem like a DUH!, but I didn’t have one with me as ours landed on the ground too many times. My friend brought hers and hopefully she will share her pictures! 9. Engage those around you. We met delightful people from Utah, South Africa, Maine, Germany, Pennsylvania, South Korea, South Carolina, India, China and even California! There were plenty of elderly folks who love to chat. They asked to see our paintings, asked to take a picture of my drawings, asked if all these kids were mine and visited about lovely information of their experiences from their homelands. 8. Stay until sunset at least once. The colors are unbelievable, incomprehensible, and awesome! 7. Plan an extra hour for every event you want to attend if you are taking the free shuttles. Yes, they are free. No gimmicks. The only place in the USA where FREE isn’t a catch word for “sucker”. Thank you, U.S. Government, for providing free shuttles in the park. At the beginning of the week, I thought the bus drivers were grouchy and mean. After four days of witnessing what they go through with wild American kids that can’t sit in a seat for the love of God, and ALL the lovely foreigners who just needed more help with the maps, the schedules, the standing-in-the-white-space-by-the-door law, the back door and front door loading and unloading rules, the no eating and no drinking rules and the back-away-from-the-curb-when-bus-is-approaching guideline….. I realized I would probably be grouchy too, or supremely sarcastic, which is usually over foreigners’ heads and would cause MORE confusion. 6. 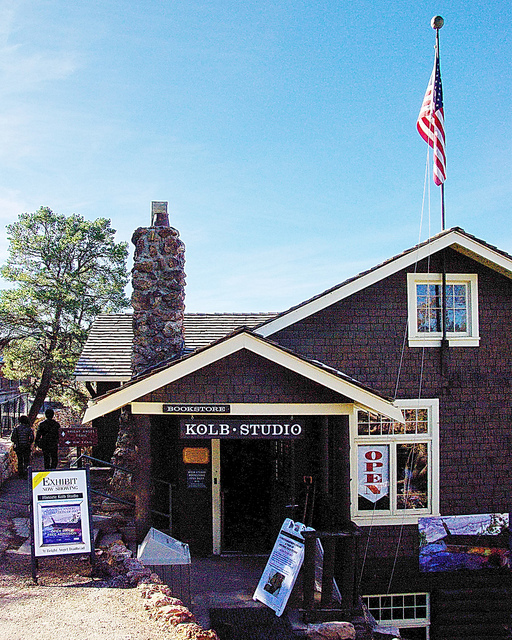 Go inside Kolb’s Studio. Downstairs they still play the original moving pictures that the Kolb Brothers showed to visitors in the 1930s. The artwork in the studio is outstanding! Well worth the time, it’s air conditioned and the historic photos are the BEST of these two renegades, even at the age of 93! 5 1/2. 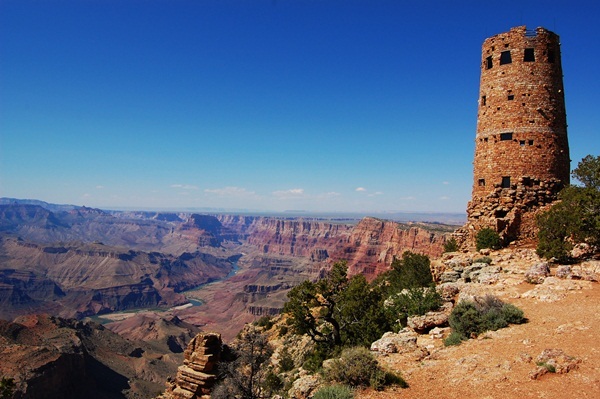 Drive all the way to Desert View Point and climb the smelly tower all the way to the top. The views of the Colorado are supreme. 5. Bring your own food from home. And solid blocks of ice, if you are camping. Prices inside the park are astronomical….. seriously from outer space. A 2 litre pop was almost $4. If you are coming from Northern Alberta, that is a reasonable price, I understand. But you can go to Walmart in Flagstaff and fill up on 2l pop for $.99 each on your way. One trip I purchased 1 bag of charcoal, 2 bags of ice, a lemonade, a greeting card and 2 packs of gum….. guess how much….. go ahead….. guess…… higher…… higher….. yes, $30.26. 4. Camp! Ok, I know you hotel-cushies just rolled your eyes and I lost ya, but seriously, to stay at least four days and not spend your children’s college funds, camping is the way to go. You will never forget the stars in the night sky!!! Amazing! No bugs. Hot showers. Or rent an RV and use the microwave. Be somewhat cushy. The camp sites are only $18 per night. The CHEAPEST room in a lodge on the rim is $169 per night/low season/2 people. Or stay at a motel outside the park and use the free shuttle every day. 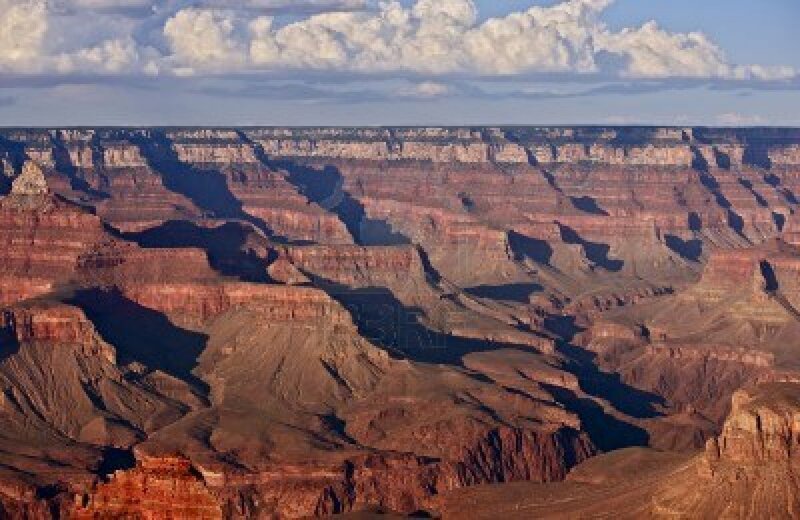 and the NUMBER ONE Suggestion for visiting the Grand Canyon is….. (drum roll, please)…. WEAR SUNSCREEN! Learn from my mistakes, people. And take it from me, if you think your facial make-up has sunscreen, you may be fooling yourself. Mine used to… and stopped including it without my knowledge…. and my face got toasty roasty… but not as bad as my red v-neck burn. Say no to skin cancer and wear sunscreen…. 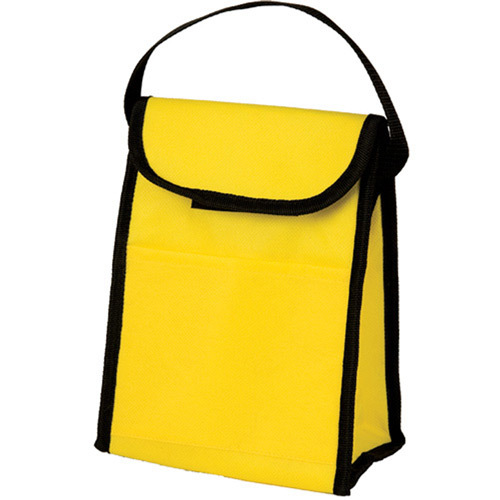 waterproof sunscreen, because you will sweat.